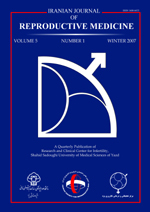 Background: Our information regarding immunity to toxoplasmosis among reproductive age women is indeterminate and there is significant variation between reported results; it is necessary to perform a Meta-analysis study on subjects to obtain required findings and develop preventive measures accordingly. Objective: Estimation level of immunity to toxoplasmosis in reproductive ages. Materials and Methods: All published papers in main national and international databases were systematically searched for some specific keywords to find the related studies up to 2012. We selected only original articles that either reported percentage of positive anti toxoplasma IgG or total anti toxoplasma antibody by using ELISA or IFAT method (provided that the titer ≥1.20 is considered positive for IFAT) in childbearing age women. Results: Studies involved a total of 13480 participants. The maximum and minimum reported prevalence rates of anti-toxoplasma IgG antibody using IFTA serological method were 21.8% and 54%; and using ELISA serological method were 23% and 64%, respectively. The overall estimation for prevalence of anti-toxoplasma IgG antibody using IFTA serological method was 34.5% (95% CI: 28.5-40.5); and using ELISA method was 37.6% (95% CI: 30.4-44.9). The overall estimation for prevalence of anti-toxoplasma total antibody was 39.9% (95% CI: 26.1-53.7). Conclusion: In Iran, screening of toxoplasma is not routinely performed yet, while the incidence of toxoplasmosis is too high to justify routine screening. Prenatal screening can help to identify mothers susceptible to infection. Screening for the presence of antibodies allows primary prevention of toxoplasmosis infection where eating habits and hygiene practices have clearly been identified as risk factors.